Victory Foam is a family-owned foam fabrication and packaging company headquartered in Southern California. Over our 30-plus years of operation Victory Foam has grown into one of the largest fabricators of custom packaging in California, and our customer base has expanded worldwide. Victory Foam owes its growth and success to the fact that our capabilities and service stand out in the industry. Please continue through our website to see the Victory Foam difference and how we can help meet your packaging needs. Every project we deliver has the Victory difference. Our three-part guarantee ensures that you’ll get the perfect job done to your exact specifications. Each and every one of our 100-plus team members is dedicated to delivering this difference, day in and day out. We deliver expertly engineered solutions from our ISO-9001:2015–certified facilities. Every product we create is supported by Victory’s core focus on excellence. A product built to your exact specifications is our goal. Our 100+ team members are focused on achieving this goal day in and day out. Our caring and proactive staff will go above and beyond to deliver you industry-leading customer service. 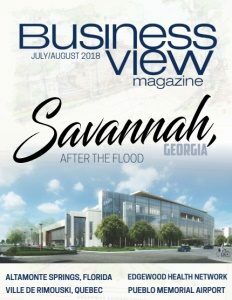 Business View Magazine interviews Gene Gregory, President of PRC Composites, as part of our focus on the composites industry.